Struggling to lose belly fat? Feel like you’ve been dieting your whole life never shedding the pounds you wish you could? Hate the thought of going to the gym and torturing yourself with exercise? 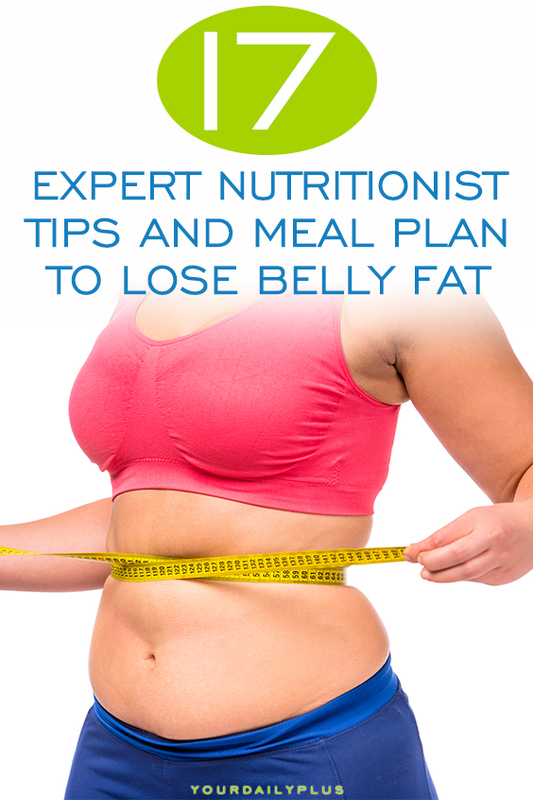 Check out these FREE expert nutritionist weight loss tips and meal plan to help you lose fat fast! 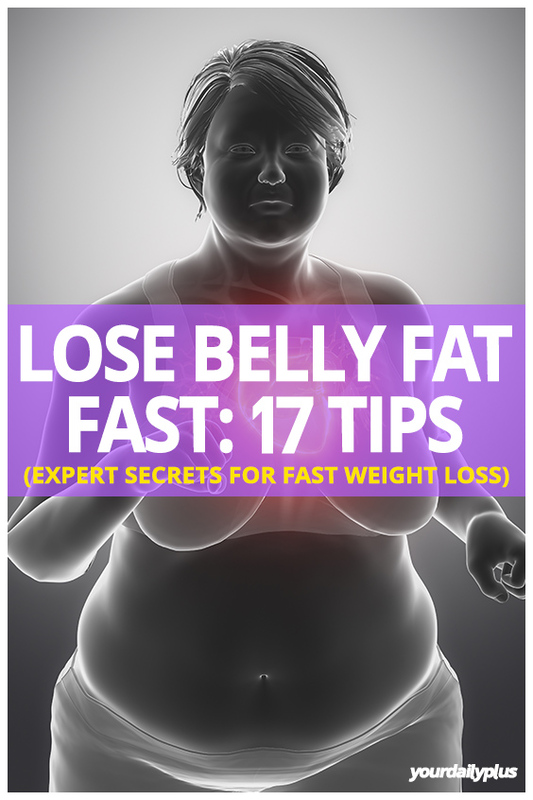 I know what you’re thinking, “Losing belly fat fast? This has to be another starvation diet with torturous eating plans!” Well, think again. 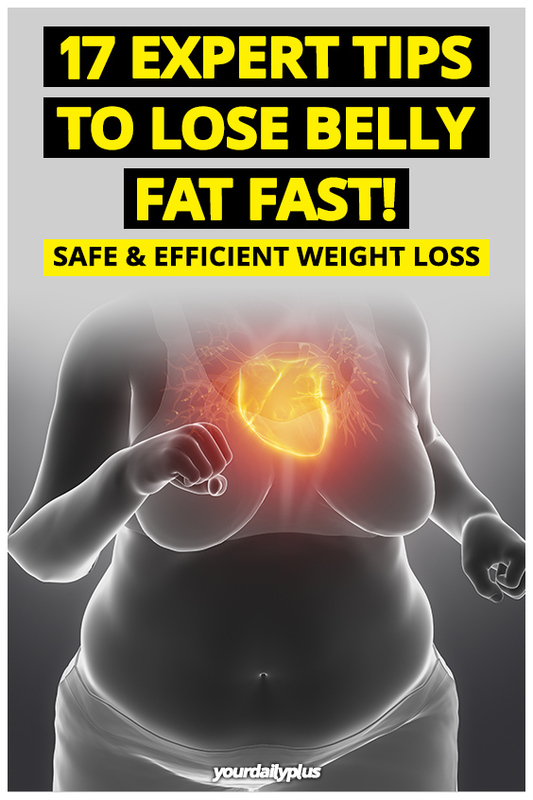 How will it help me lose belly fat? 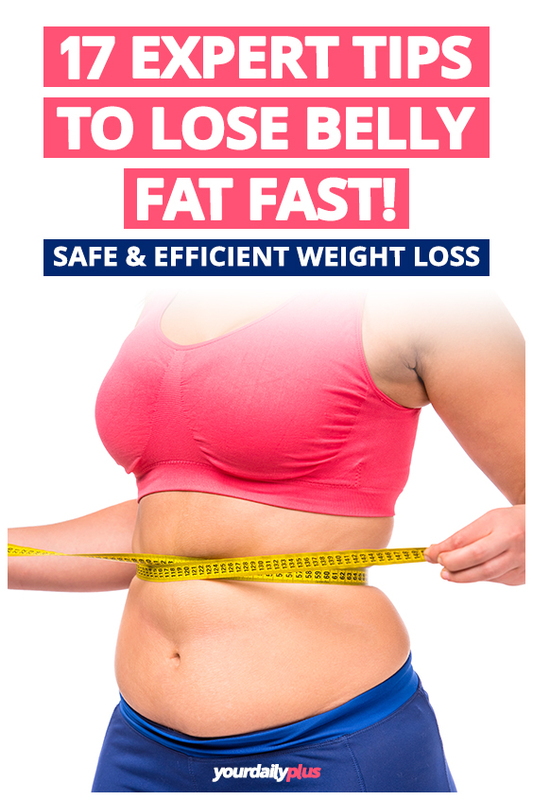 Following this guide will teach you how to lose belly fat efficiently and safely while eating healthy food to keep you feeling satisfied. It will teach you simple adjustments you need to make in your daily nutrition and lifestyle. Food wise, the plan will keep you feeling full and provide your body with all the ingredients it needs to function at its best. It’ll also teach you about foods to avoid that harm your body and belly fat loss progress. To avoid misunderstanding, let’s get one thing clear. 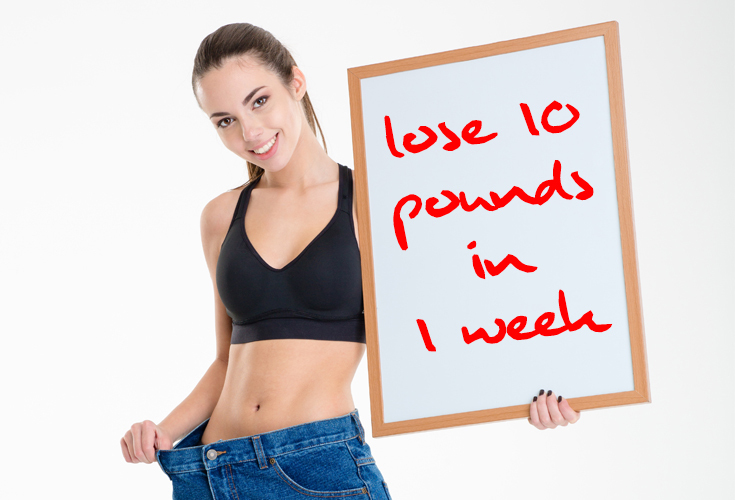 It is possible to lose 10 pounds in a week, but not all of these will be pure body fat because to burn each pound of fat requires a 3,500 calorie reduction. So, losing 10 pounds of pure body fat in a week would be far from safe for you. But, don’t worry. 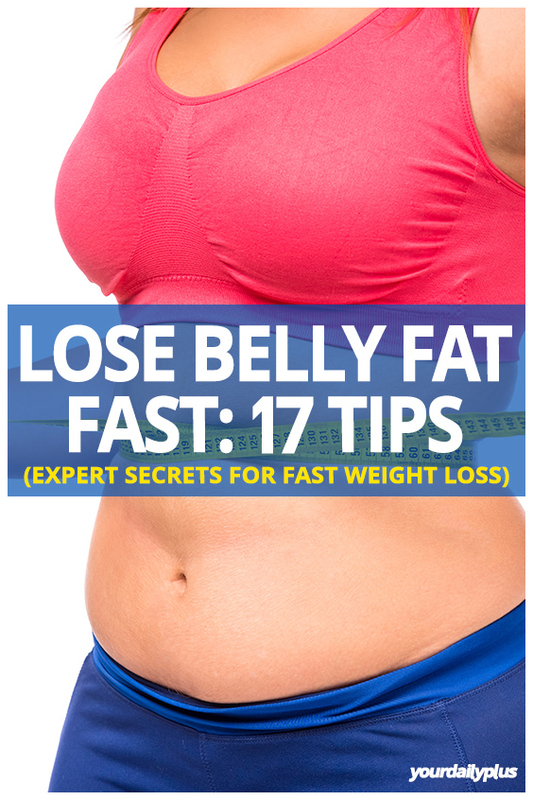 With this ultimate guide, you’ll be able to safely lose belly fat and shed 10 pounds while staying healthy! Keep in mind that you’ll also lose pounds by losing excess water weight. This happens because going on a diet plan to lose this amount of weight lowers your insulin levels, which makes your body get rid of the stored carbs bound in water. Reduced insulin levels lead to reduced water retention and as a result, your kidneys dispose of excess sodium, you feel less bloated and you’ll notice a large reduction in belly fat. Let’s begin! You can easily lose belly fat by going on a low-carb diet for a week. Even a short-term reduced carb intake lowers water weight and prevents bloating. People going on a low-carb diet see the difference immediately. High protein foods, on the other hand, make you feel fuller for longer periods, thus reducing your appetite. They also increase your metabolism. Here are some recipes that will help you reach this goal. In addition to water, you can drink green tea, coffee with almond milk squeezed orange or lemon juice without added sugar. So now you have a healthy diet plan you’ll have to throw in some exercise too. There are several ways to burn calories without even going to the gym. Start with the basics. You can walk to work instead of driving or take the stairs instead of the elevator. You can also try some running, biking, or jogging depending on your fitness level. Maybe try some aerobic activities followed by strength training. With these activities, you will burn calories while also boosting the fat burning processes in your body. Since you’re aiming to burn belly fat, you need to motivate yourself and be as active as possible. Once you start exercising, the fat will be replaced with muscle and your body will start burning calories even when you’re sleeping! 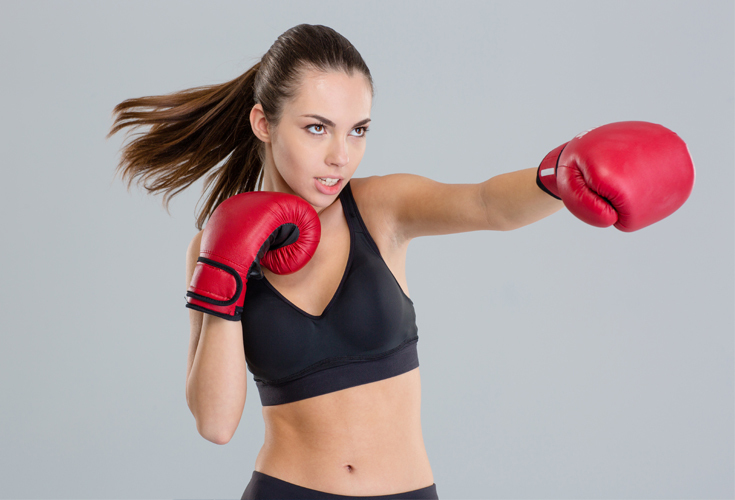 What’s more, regular training will help your body to oxygenate your blood, improve your circulation and cardio system, and carry nutrients to your tissues. All these processes are extremely important for your weight loss plan. Note: Consult with your doctor before starting a diet or workout plan, especially if you have any kind of medical condition requiring you take medications on a daily basis. So, now you have the diet plan and supplement advice. What’s missing now is a structured workout routine for the week. You can continue with your light training, but a high-intensity exercise routine or strength training will help you reduce the stored carbs and water weight faster and more efficiently. Remember that doing HIIT for 5 – 10 minutes can be five times more effective than an average workout routine. Did you know that you’re more likely to stick to your diet if you start it on a Sunday? Several studies have shown this to be true, and they also showed that the worst day for starting a diet plan or workout routine is Tuesday. If your plate has little or no color, you need to change your nutrition because your meals is most likely lacking healthy ingredients. Make your meals colorful by adding different fruits and veggies. Researchers have learned that eating with a big fork helps you control how much you eat, who would have guessed? Watching the preparation of delicious meals can make you crave for food and cause trouble during your weight-loss journey, so turn off the cooking shows and do something active instead! In our diet plan, we have incorporated some starchy foods like potatoes, brown rice, and Ezekiel bread. But, try not to add more food rich in carbohydrates since they increase your sugar intake and cause hunger cravings. You can carry a cup of oats with you to eat it in between meals and to help you avoid sugary snacks. Oats are a complex carbohydrate which are provide your body with sustained energy. Snacks like nuts, tomatoes, carrots or whole wheat pretzels are great to have around the house or at work. Almond milk contains far less calories than normal milk and you need to stay away from animal dairy products during your weight-loss journey. 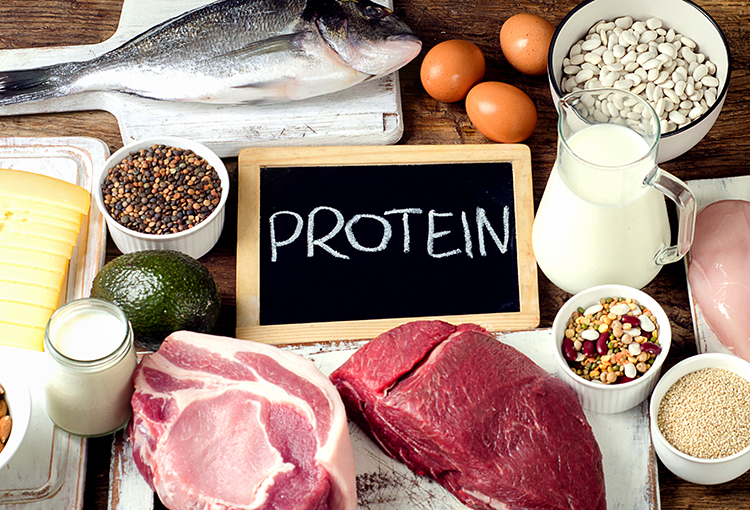 It’s crucial to have sufficient amounts of protein to boost your fat burning and metabolism. It’s also important for muscle building and recovery from the workouts you’ll be doing. They are a crucial part of every healthy diet and will help you eat less. They are low in calories and provide your body with the essential nutrients it needs to function optimally. However, try and avoid fruits high in sugar like cherries, bananas, and pineapples. At some point of your diet plan you’ll be tempted to indulge. 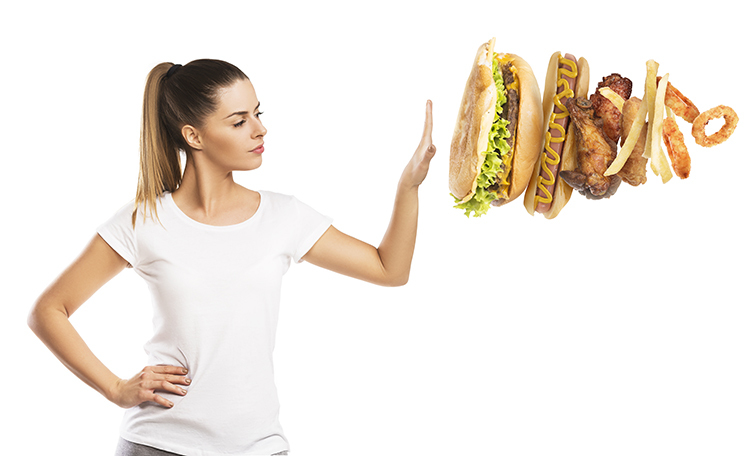 So, when you are offered some treats just say ‘no’ and let the other person know (or remind yourself) that you are on a journey to lose 10 pounds in a week. You’ll be respected because of your ambition, and you’ll have a sense of achievement for sticking to your diet. Stating your goals to your family and friends makes you accountable to these people because they will expect you to live up to your statement. This will help you not to make poor decisions and also push yourself harder. Who knows? Maybe some of them will want to join your on your journey! Most likely you’ve already tried numerous weight-loss plans that didn’t work out, but please don’t let them haunt you. It’s natural to fail before you’re successful and everyone who’s lost a significant amount of weight will tell you about the countless number of times they messed up before they made it. Forget about your past plans and try to think positively and move forward. Most importantly, put your mind, soul, and body into it – believe in yourself! Finding the best supplements to use for weight loss can be really tricky since there are so many gimmicks on the market. Fortunately, there are some supplements that can really aid in reducing your appetite and food cravings, just be careful of the fake versions. Garcinia Cambogia is one of the best supplements that you can use. It speeds up your metabolism, helps you burn more fat cells and reduces your appetite. Most importantly, it really works! The number of benefits this supplement has to offer has been confirmed by more than 139 studies. Incorporating Garcinia Cambogia in your diet plan combined with a good workout plan will definitely help you lose belly fat. The best version of this supplement is the authentic Garcinia Cambogia mixed with Raspberry Ketone extract. 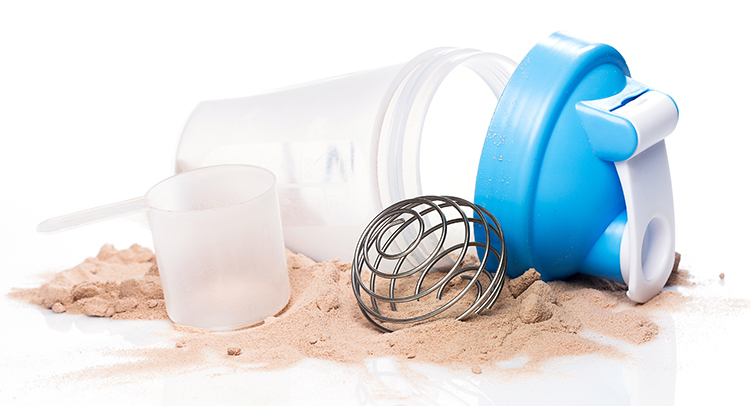 This potent mixture will help you burn stored fat and prevent fat storage in your cells. Can I drink alcohol on this diet? No, you should completely avoid alcohol. 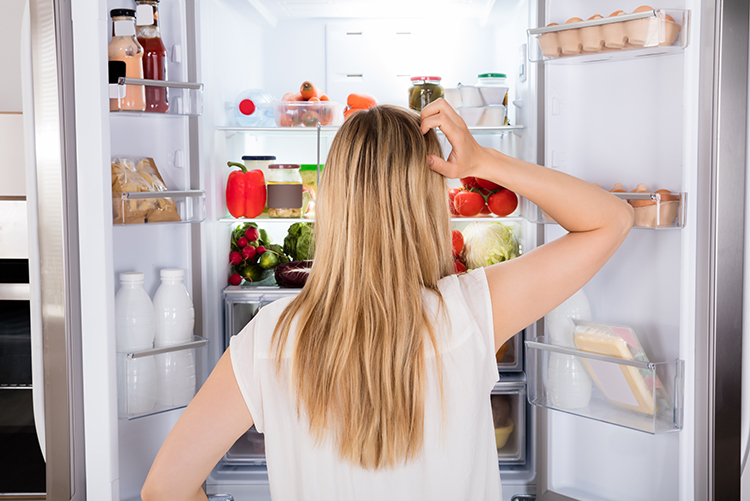 I feel lightheaded and hungry before bed, what should I eat? It’s best to eat some fruits or veggies because they have little or no calories and will make you feel full for the rest of the night. Of course, avoid eating fruits high in sugar before bed. Others are having success with this diet, why am I not getting that similar results? Don’t get disappointed. Everyone’s condition is different. 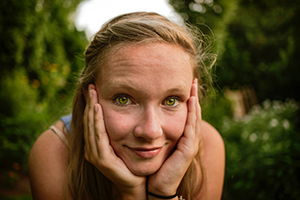 Additionally, any medical condition that you’ve had could affect your results. I am midway through the week and I’m not losing any weight. What should I do? It’s important to be persistent. Everyone’s metabolism is different and that is why results will vary too. It’s very important not to starve yourself because that will affect your health and the diet’s effectiveness. It may take a while for your body to adapt to the changes you’ve made, but stay persistent and you will start seeing the benefits from it. Can I substitute something else for rice? Potato and quinoa are great substitutes for rice. I want to lose more belly fat, can I continue it after the first week is over? 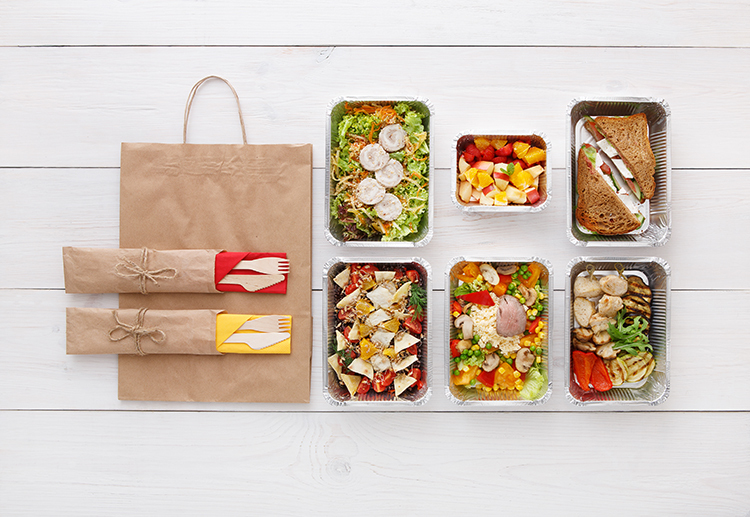 You shouldn’t stay on this diet for more than 1 week. If you’re looking for a more long-term diet keep reading below!